Gayle’s dad has a new girlfriend who Gayle blames for her mum leaving. But what’s the real reason her mum moved out? ‘The Penny Dropped’ is a beautifully observed and warm story with great characters. In ‘New Shoes,’ Angela’s mum has bought her a beautiful pair of cream patent leather shoes for her sister’s wedding. The only catch is that Angela is not allowed to wear them before the big day. The wait is agony so Angela takes matters into her own hands with disastrous results. 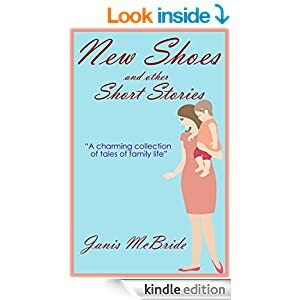 This collection includes nine tales which show family life in all its messy reality of love, humour, and misunderstandings.